The candidates will have to login into the My Application for the attainment of Written & ET/PST Call letter for KSP APC CPC Exams 2019. Across Non-HK Regions, a huge number of C.P.C & A.P.C posts are required to be filled and applications for the same had been taken until the closing date. Together with the KSP Karnataka Armed Hall Ticket, KSP Civil Police Call Letter is also released for the new written test date. Meanwhile, here’s the debarred candidates list for CPC 2113 Posts. The announcement of Karnataka State Civil & Armed Police Constable Exam Date is much awaited by all job applicants because KSP Hall Ticket 2019 are issued only a week prior to it. Right after the release, a direct link to constable hall tickets can be used by candidates herein for downloading and capturing means. But only the eligible ones can get access to it. To this extent, verification of credentials like Registration number, Date of birth must be done appropriately. And then after that Karnataka Police Admit Card is available for obtaining the armed/civil police constable hall ticket number, info about exam center & timings etc. While the registrations commenced from June’18, the further update in regards to the selection exams to be notified in the Karnataka Police official page. The Hall Tickets are coming up on the website however it will only be there to download for a limited time. APC PET/PST Update: Mysuru City ET-PST Scheduled on 22.01.2019 is rescheduled for 07 February. After the APC ET/PST (Physical) Test, candidates of CPC Posts are searching for Civil Police Constable (Written) Exam Date. It is informed here the new dates for KSP 2113 Posts (re-scheduled) Exam is 27 January 2019. As soon as the latest dates came up, it reflects on the KSP Official Portal at rec18.ksp-online.in. The prospective exam takers are not limited to those who have applied from Hyderabad-Karnataka (HK) region. Non-HK aspirants too are engaged in the KSP Constable’s 2018-2019 Recruitment. Based on the latest notice, a written test, physical or medical will be conducted for the fulfillment of the enlistment process. Up here, the Karnataka State Police Dept Schedule – KSP Armed Police Constable CAR/DAR Examination Date, HK/NHK Hall-Tickets are out. Maximum marks for the examination would be 100. A duration window of 1 Hour 30 minutes to be provided to complete test paper. Negative marking of 0.25 marks for one wrong answer will be applicable. Open the KSP’s recruitment official website, as mentioned above. 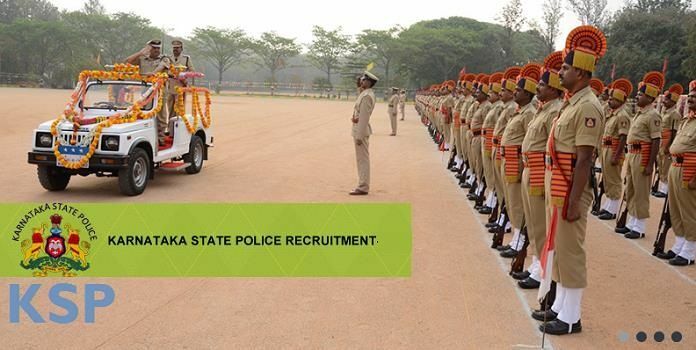 In the heading of the news section, tap on Karnataka State Police Admit Card for Constable. Thereupon, Click on the My application tab, given on the left-hand side and central position. Here is to fill your application number, date of birth. And then finally go ahead and hit login. Now, procurement of rec18.ksp-online.in Armed/Civil Exam Call letter shall be done successfully. Assistance on admission tickets, selection tests, and other relevant queries; please feel free to dial the help desk contact number: 080-22943346. To be revealed soon. Just Stay connected. Hai..to phr hall-ticket ka kab tak ka ragega. sir Dr Hk exam date yavag. First of all, You must Know the Requirements of Examination then make your strategies accordingly. Also, Take Practice Tests, Grab the test pattern, syllabus and additional study resources like previous year’s question papers, notes etc. I’m sure this all can greatly help anyone to clear this exam. sir physical date dar/car 1588 post ಯಾವಾಗ ಹೆಳಿ ಸರ್? Hi Murali. Can you tell about the timings of both exams along with their locations? When cpc-2018 (2113) exam will held? HI dear, the scheduled dates will be updated after official release. Stay connected.